Global Voices Innovation Awards | Discussion, proposals and project updates for the Global Voices innovation grants. First of all, thank you so much for all your suggestions and votes that helped us choose the journal’s name! 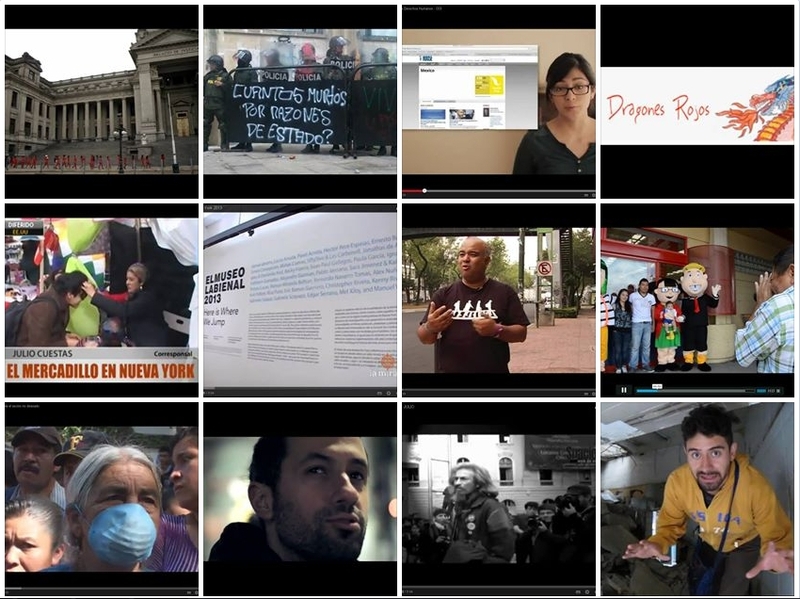 Open Journal of Citizen Media! So, offline projects or online-offline initiatives would be welcome too. We’ll try to make this clear in the call for papers and on the site, so thanks for raising this, Janet! Thanks to Jeremy, the website is in the works right now and we are looking for people who would like to work on its layout. If webdesign is your thing and you’d like to help, just let us know! We hope to have more news for you soon! This entry was posted in Grant Updates, GV Journal on February 24, 2014 by GV Journal. As some of you already know, Elisa and I won one of the innovation grants to create a gratis open access journal for scientific articles about citizen media. You can see more details about the project here. The author of the winning suggestion will receive a surprise GV prize 🙂 Suggestions can be added until 31 January and voting will go on until one week later, until 7 February! Editorial Assistant – an Editorial Assistant can take responsibility for handling queries, processing manuscripts through peer review (e.g. the Chief Editor might indicate reviewers, while the Editorial Assistant sends the request to the reviewer and later the manuscript). Managing Editor – typically a Managing Editor handles the same types of work as an Editorial Assistant, but is often involved in higher level decisions together with the Chief Editor, and might even be involved in the Journal finances or other aspects of administration. Production Editor – manages the production process. Requires solid IT skills. Layout Editor – the Layout Editor is responsible for structuring the original manuscript, including figures and tables, into an article, activating necessary links and preparing the manuscript in the various formats it will be published in. Typesetter – a typesetter is an external partner that can handle layout editing and production of the manuscript in the appropriate formats. Typesetters can also provide copyediting and are often able to provide some distribution to third parties, such as Communication and Mass Media Complete. Marketer – someone on the team should take responsibility for engaging in outreach to make others aware of the Journal. This might be a role that several or all members of the team share. The journal is biannual, which means the workload is neither frequent nor overwhelming and everyone can collaborate with as much time as they find possible right now. This entry was posted in Grant Updates, GV Journal, Proposal Discussions, status on January 19, 2014 by GV Journal. 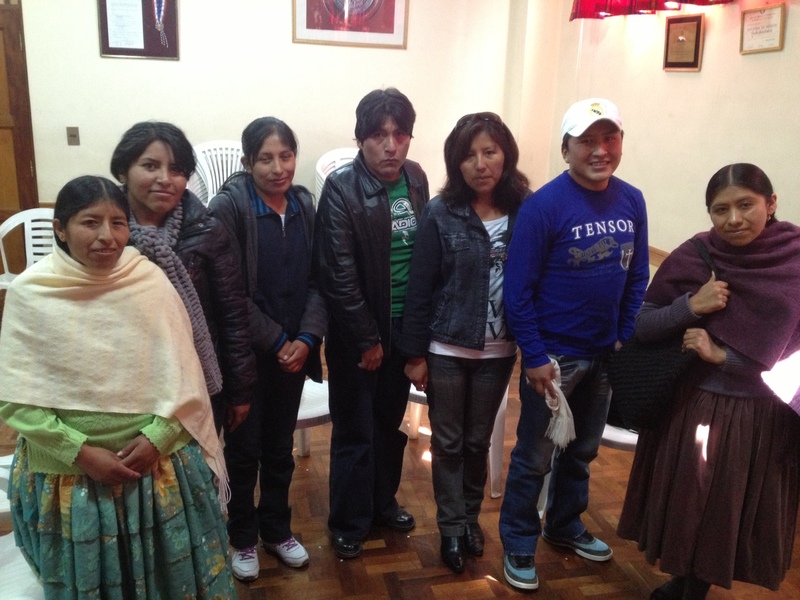 The first phase of the Lingua Airwaves Project with Global Voices Aymara is almost complete. 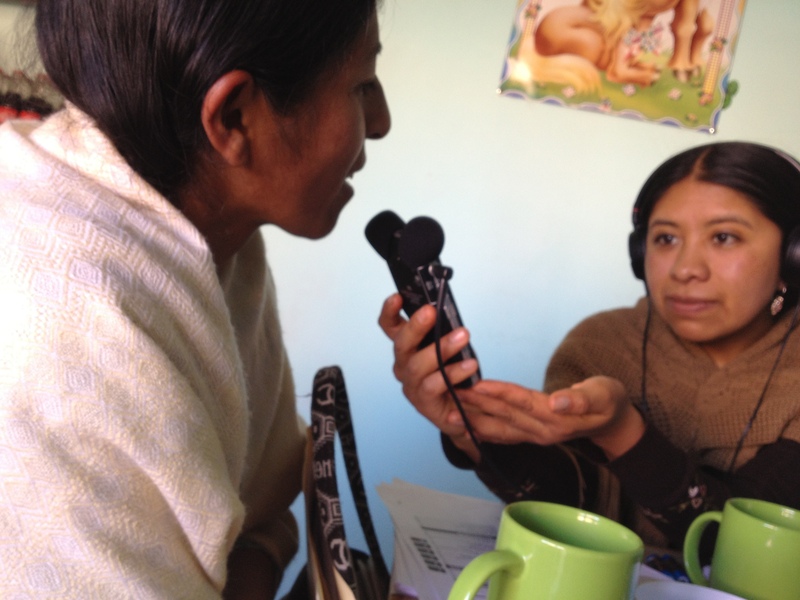 A team of five volunteers with the help of the radio journalist Norma Barrancos recorded eleven podcasts that consisted of summaries of translations of Global Voices posts. The idea of creating summaries came from the fact that the content is targeted at a local audience in El Alto, Bolivia that may not be as familiar with all of the elements that make up a normal Global Voices stories. Together with the help of Norma, the team created scripts that explained the topic and added different audio elements, such as different voices to narrate some of the citizen media quotes and other music to accompany the piece. We’re currently in the process of editing the eleven clips with adding a short introduction by Victoria. The clip below is one of the finished audio clips that pulls together this introduction followed by the story content. 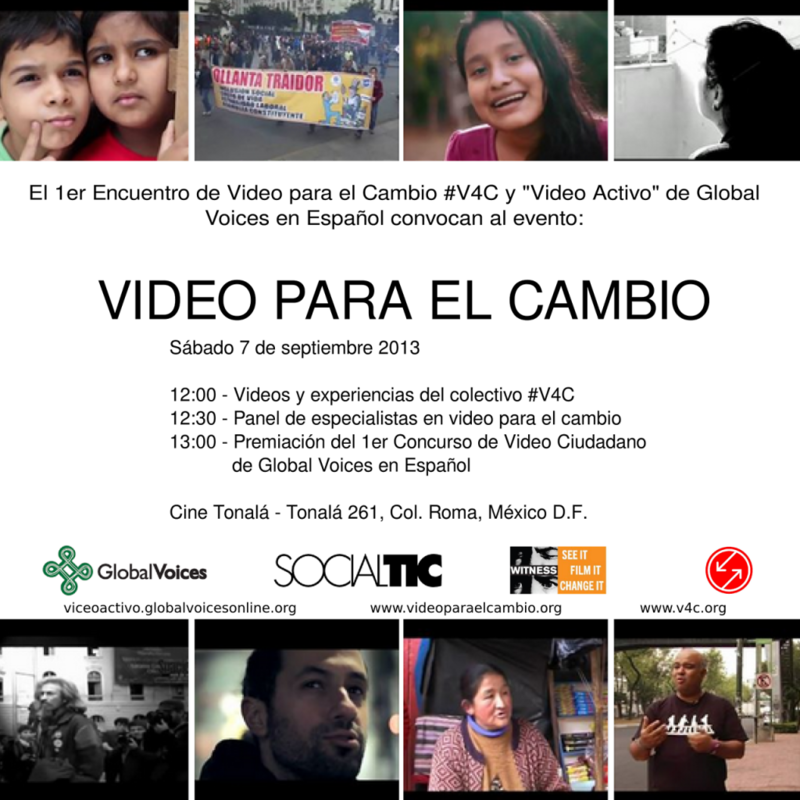 For those of you that may not understand Aymara, if you listen at 0:43 at the clip below, you can hear a mention of “Global Voices” and Victoria explains to the audience that the story is comprised of citizen media content from around the world and translated by a volunteer team of translators. However, during the second week of October, we had an intensive training together with Victoria and Norma in the use of the new equipment. We are happy to report that Norma and Victoria feel much more confident in the use of the higher quality digital audio recorder and will use it for the next round of recordings. Next up: distribution strategies and the airing of the clips on the radio. This entry was posted in Lingua Airwaves on October 19, 2013 by Eddie. 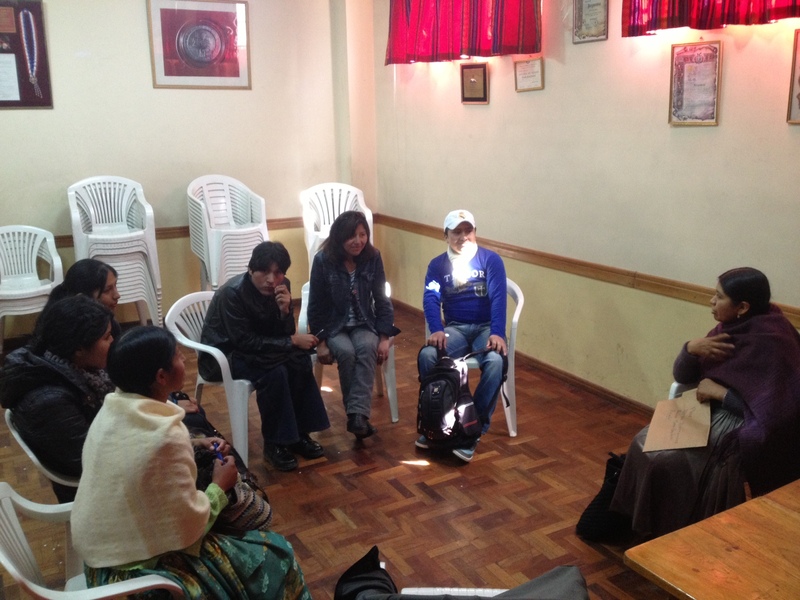 Here is a SoundCloud recording of an early demo of the Lingua Airwaves project, where members of the GV Aymara community have been teaming up with a local Aymara journalist to record adapted versions of the GV Aymara translations. The idea is to produce small clips that can be played on the radio, and also edit them together for a longer audio podcast. The team is still fine tuning the format, as well as learning how to better use the new digital audio recorders. More demos will be posted soon. This entry was posted in Grant Updates, Lingua Airwaves on September 1, 2013 by Eddie. This project proposes the creation of a multilingual, multicultural journal to which scholars and researchers whose work focuses on citizen media can converge. In a spirit similar to that of Global Voices, The Global Voices Journal for Citizen Media aims at being a platform for scholars and researchers everywhere, thus accepting articles written in all languages available in our Lingua sites. Housed in the same platform, the idea is that the journal will benefit from Global Voices’s identity and that it will interact with its body of volunteer authors, translators and activists, as well as with its readership, in such a way as to become a gain for all. The journal will make use of a renewed selection methodology, based on the choices made through voting, with the aim of establishing those articles that will be translated in their entirety so as to be included in the journal. With two editions per year, The Global Voices Journal for Citizen Media would be hosted on Global Voices’s servers, with an intuitive layout based on WordPress, where all editions would be made available. The need to secure a journal engaged specifically with the topics related to citizen media; the need to familiarize our Global Voices audience with the academic production on citizen media and, conversely, introduce a wider scholarly public to the existing Global Voices websites, thus strengthening the bonds established with the academic community during the Global Voices Citizen Media Summit 2012. In the same spirit of Global Voices, which aims at amplifying the voices of underrepresented people everywhere, The Global Voices Journal for Citizen Media would decentralize the flow of information by showcasing the work done by researchers not only in the main knowledge centers, but also in the developing nations, thus working as a bridge between scholars all over the world. The project is innovative in the way it proposes to introduce a process of collaborative selection of articles to be published, with a direct choice from our readers and community members. It is also innovative in the way it would encourage the open access culture among scholars, as well as an increase in language diversity in the academic world. All sections should benefit from the project since its ultimate goal is to improve the quality of GV’s ongoing conversation as regards the themes related to citizen media – which is, after all, the focus of the work GV does. The journal would introduce GV readers, as well as GV volunteer authors, translators and activists, to the academic production on citizen media thus stimulating a broader and more productive debate within the community as a whole. At the moment, the only people we rely on, as volunteers who will surely be involved with the creation and maintenance of the journal are its proponents: Débora Medeiros and Elisa S Thiago. Both proponents would take part in the process of establishing the journal and on administrative tasks, as well as observe the selection process and help with the publishing process at each new edition. The journal would require at least one senior academic expert in the field of citizen media, something essential, especially for a new journal. Similarly, the journal would welcome volunteers to carry out the following functions, (based on the manual available on http://www.doaj.org/bpguide/): Chief Editor, Associate Editor, Editorial Assistant, Managing Editor, Production Editor (requires solid IT skills), Layout Editor, Typesetter, Technical support person, Marketer (this might be a role that several or all members of the team share). These functions could all be shared among volunteers on the basis of a common, shared working agenda. All members of the GV community that feel they could fill one of these positions or bring new perspectives to the project are welcome to join us! There should be an effort on the part of GV, and before the grant is fully spent and comes to an end, towards finding other means of financial source to sustain the journal into the future. This financial source could be sought among the regular GV supporters – or others – , a NGO or entrepreneurial initiative which would see in the journal a relevant achievement for their own practices. Semester 1: Creation of the website and of the technical infrastructure (OJS platform) for publishing the first edition; registering the journal with entities such as ISSN. Semester 2: First call for papers, selection process of the articles for the first edition, translation of articles in other languages than English among Lingua volunteers, publishing the first edition (with articles in their original idioms and English) at the end of semester 2, with subsequent promotion of the journal in other academic and non-academic platforms. Semester 3: Evaluation of the first edition, improvements, call for papers for the second edition, selection process of the articles for the second edition, translation of articles in other languages than English among Lingua volunteers, publishing the second edition (with articles in their original idioms and English) at the end of semester 3, with subsequent promotion of the journal in other academic and non-academic platforms. Semester 4: Call for papers for the third edition, followed by the same process involved in the production, publishing and promotion of the previous two editions. With just one more year of budget assured by the grant, the journal will start to reach out to new partnerships and financial alternatives for the following years. The guide “Starting an Open Access Journal: a step-by-step guide” (https://www.martineve.com/2012/07/10/starting-an-open-access-journal-a-step-by-step-guide-part-1/) describes the following yearly costs: • Web hosting: $60/year (in case the journal cannot be hosted on GV’s servers) • DOI numbers/CrossRef membership: $275/year. Alternatively, it is possible to join the Open Access Scholarly Publishers Association (OASPA) and get CrossRef membership included in their fee of €75/year (including 50 DOI numbers) • Staff work to set up the journal; • Administrative work to keep the journal running: management of the publication system, technical support, networking and publicizing of the journal in academic and non-academic circles. These costs should be multiplied by three, in order to ensure a three-year budget for the journal, sufficient not only for its creation but also for its maintenance, while other funding alternatives for the subsequent period are considered. The project aims at building a system which would let people report incidents of violence at different polling stations across Pakistan during 2013 elections. This reporting will be done in real-time and the resulting map will be displayed online, while also notifying the Election Commission of Pakistan. Global Voices essentially strives to enable a simple thing: power to people. This project sets out to do exactly the same, though within the narrower scope of 2013 elections in Pakistan. It would let people have their say during 2013 elections in Pakistan, highlight the frequency of incidents of violence to an international community and in turn, lead to a better transparency. The fact that we wish to link it with telecom services and let people report incident of violence in real-time. Currently, no such mode of crowdsourcing election data exists in Pakistan. The wider GV community can keep an eye on the data shelled out by the project and possibly bring it to the attention of the international community, and international observers, by highlighting it in their posts. This would assert pressure on the local authorities to not indulge in rigging. Our costs, detailed below, will be significantly trimmed if we get: Web developer, web designer, someone good with data analytics tools who can possibly help us in training the volunteers. The funding is essentially required to build up a system to collect real-time data from voters and create an online portal to present it. Once the elections are over, the project will not exactly be functional, except that it could be used to create similar other crowdsourcing projects related to social issues. Both the data-gathering mechanism and system as well as the online portal will be developed in first half of April and tested during the second half. In May, the system will be kickstarted into action as the elections draw near. The budgetary details are, at best, estimates: $1500 – for PCs and the accompanying UPS, given the power scarcity in Pakistan $1000 – logistics for GV members and volunteers to travel to election sites, get feedback, interviews and discern indications of violation at different polling stations $500 – to bring together an online portal which will display the data. We’re trying to get web developer/designer folks on volunteer basis but that is proving rather difficult. $1000 – Expenses for a few training sessions we intend to do to ready the volunteers for the project before we launch it. This entry was posted in Proposal Discussions on May 4, 2013 by georgiap.